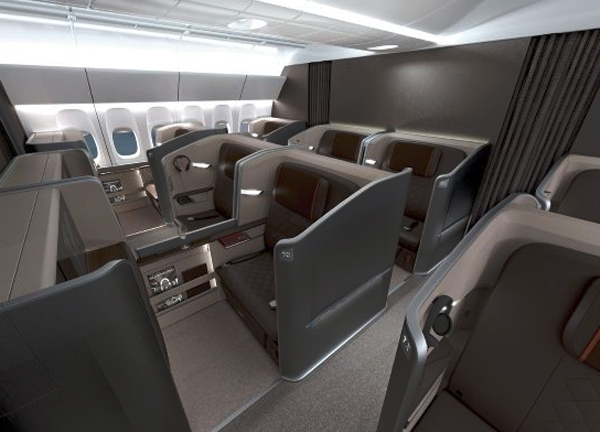 Overview: With the brand’s deep roots stemming from aircraft design, who better to design Singapore Airlines’ First Class interior than the BMW Group Designworks USA?! To bring a premium experience to the airline, the designers have endowed the cabin with a new look along with an extra helping of comfort, space and privacy. 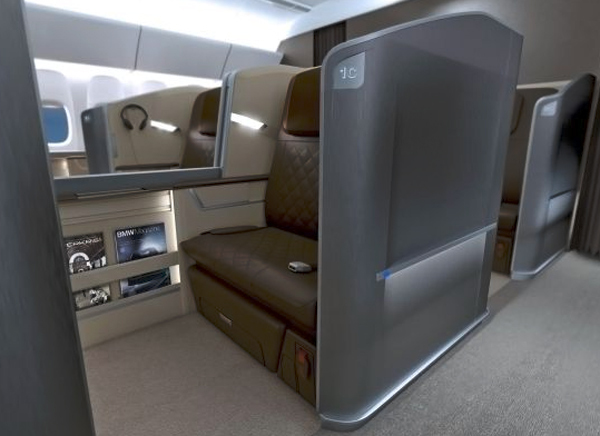 The updated design for the seats and suites will make its debut this September on board the new Boeing 777-300ER on selected flights between Singapore and London. 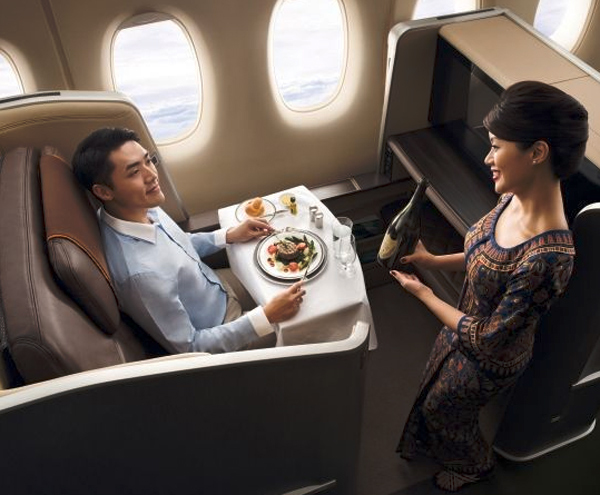 From the moment they board the aircraft, First Class passengers are pampered in their lounge-like islands. In order to shield these havens of peace visually and acoustically, the outer walls of the seating area have been extended and embrace the passenger like a protective arm. For sleeping, the luxury seat turns into a large bed comfortable enough for reclining on one’s side. At 35 inches in width and with an increased bed length from 80 to 82 inches, the seat is one of the most spacious First Class products in the sky. Both the design language and the colour and material concept signal maximum levels of comfort, taking their cue from automotive interior design when it comes to passenger comfort, spatial configuration and functionality. The design team has imbued these onboard spaces with an aura of tranquillity. Large surfaces and elegantly sweeping lines coupled with warm, modern shades of brown within the seating islands all evoke the ambience of a living room. Cooler grey and metallic tones on the outside, meanwhile, clearly demarcate the private zone from its surroundings – a colour concept that continues into the carpeting to accentuate the impression of a personal cocoon. Only high-grade materials are permitted to fly First Class. The seat is lined with fine leather, while a new covering technique for the upholstery increases tension in the material, which remains smooth and – even after hours of use – appears pristine. Atmospheric lighting has been discreetly assimilated into the design. Extensive tests were carried out to determine the optimal light colour and intensity. A range of personal storage cubbies in the front entertainment area add surprising touches with their striking interior colours. Elegant tables are integrated into the front of the seating area; they can be extended simply and quietly without the need for any folding mechanism.